Shock mount bushing ID: 0.50"
The Brock’s Performance Street Shockz™ for Harley-Davidson applications were created for the everyday rider looking for racing inspired performance from their shocks. A night and day difference from your OEM setup, these affordable shocks offer adjustability without the need for tools. Prior to shipping the shocks are setup right here in house to your specifications. 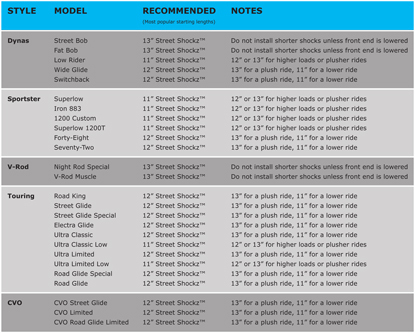 Suspension upgrades are one of the best investments you can make to enhance your riding experience. Invest in better suspension to enjoy the ride. 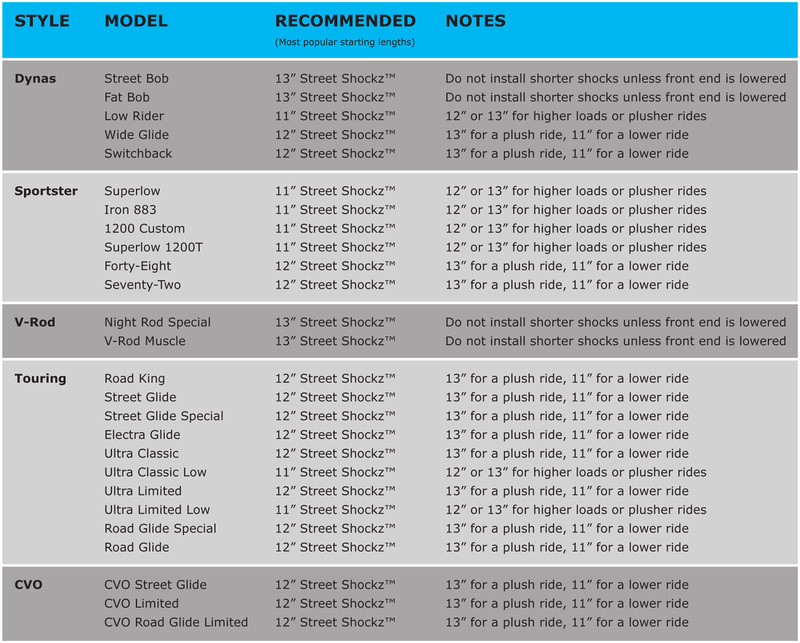 For a complete list of available applications and shock length recommendations see the application chart below.